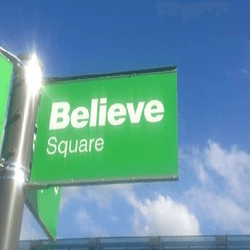 Business is booming for one Wigan believer! Three years ago, this independent Wigan business in the support services sector had grown its annual turnover to £20 million. But then a major blockage began to slow their progress. The firm started to struggle to find and recruit sufficient skilled staff, both in Wigan and across the UK, to match their needs. This problem then had a worrying knock-on effect on its ability to provide comprehensive support to their customer base. In 2013, Wigan based Intro Recruitment approached the company with a set of innovative solutions. After first understanding the business and getting to know what made its people tick, Intro’s 34 years of experience and its wide range of services have helped solve the key recruitment and team building challenges. The company have benefited from the one stop service provided by Intro Recruitment, creating a simple and efficient process to serve their recruitment needs. Access to an extensive network of talent has made matching the right people to the right roles fast and seamless, and all backed by a reliable after sales support service that has helped build a strong and lasting relationship with the company. As a result, Intro now helps the company to recruit new talent across the UK, to over 400 staff, and their turnover has quadrupled to £80 million pa. With Intro in full support, a sales target of over £100m by 2018 is well within sight. Belief in Wigan pays off! Click to read testimonials from other clients we’ve helped to solve their team building challenges here.